The 7.2 per cent GDP growth for current fiscal is substantially lower than 7.8 per cent and 7.4 per cent projections made by Fitch in September and June respectively. Fitch Ratings Thursday slashed India's GDP growth forecast to 7.2 per cent for current fiscal, from 7.8 per cent projected in September, citing higher financing cost and reduced credit availability. 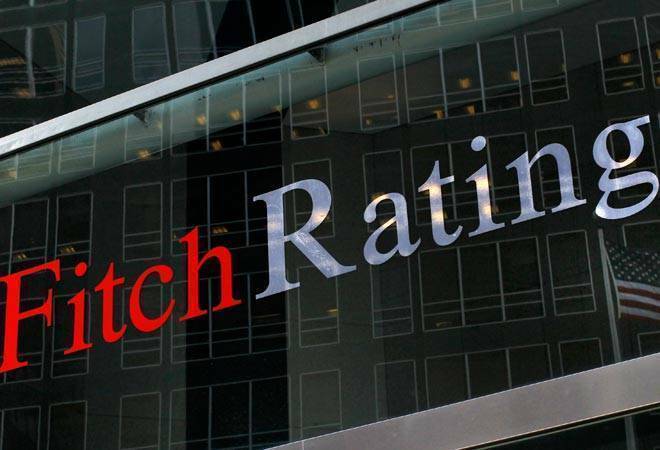 In its Global Economic Outlook released Thursday, Fitch estimated India's GDP growth to be 7 per cent and 7.1 per cent in financial years 2019-20 and 2020-21 respectively. Indian economy grew 6.7 per cent in 2017-18 fiscal. It is also lower than RBI's 7.4 per cent growth estimates for this fiscal. We have lowered our growth forecasts on weaker-than-expected momentum in the data (GDP), higher financing costs and reduced credit availability. We now see GDP growth at 7.2 per cent in the fiscal year ending March 2019 (FY19), followed by 7.0 per cent in FY20 and 7.1 per cent in FY21, Fitch said. In September, the rating agency had forecast 2019-20 and 2020-21 GDP growth at 7.3 per cent. Fitch said GDP growth has "softened quite substantially" in July-September quarter of current fiscal growing by 7.1 per cent, as against 8.2 per cent in April-June. "Consumption was the weak spot, stepping down from 8.6 per cent to 7 per cent, though still growing at a healthy rate. Other components of domestic demand fared well, notably investment, which has been steadily strengthening since 2H17. The external sector was again a significant drag on overall GDP amid steadily accelerating imports, Fitch said. The global rating agency said India's fiscal policy should continue to support growth in the run-up to elections in early 2019 and forecast Indian rupee to weaken to 75 to a dollar by end of 2019. The rupee is currently hovering around 71 per dollar mark. It said the banking sector is still struggling with a high proportion of non-performing assets, while non-banking financial institutions (NBFIs) are facing tighter access to liquidity following the default of IL&FS, one of the 30 biggest NBFIs in India. Fitch said it expects inflation to edge up mildly in the coming months, on normalising food prices and higher import prices stemming from the depreciation of rupee. "The widening of the current account deficit amidst tighter global financing conditions should put downward pressure on the currency, and we forecast the INR to weaken to 75 against the dollar by end-2019," it said. Fitch, however, retained its global GDP forecasts for 2018 and 2019 at 3.3 per cent this year and 3.1 per cent next year. It also retained China's growth projections at 6.6 per cent in 2018 and 6.1 per cent in 2019. With regard to crude prices, Fitch expect oil prices to recover somewhat from current levels, with OPEC likely to agree to some production cuts at its early December meeting. "Our 2018 annual average estimate has been raised slightly to USD 72.5 per barrel to reflect year-to-date out-turns but our 2019 assumption is unchanged at USD 65. In the medium term, we have become a little more confident in the ability of OPEC+ (including Opec and non-Opec oil majors) and to help stabilise prices," Fitch said. The 2020 oil price forecast has been revised upwards to USD 62.5 from USD 57.5 projected in September outlook of Fitch. The price of Indian basket of crude oil fell below USD 60 to a barrel by end November, from USD 85 to a barrel in early October.